I remember the Halloweens of my childhood fondly. Rushing home from school, bursting at the seams with excitement, anticipating the evening’s rituals. We were barely through the door and my brother was off to fetch the pumpkin, which sat sentinel on the front porch. It was quickly plopped onto a bed of newspapers, spread on the driveway in anticipation of the messy affair to come. My brother would then awkwardly lop off the top of the unsuspecting squash and we would greedily eviscerate it, first with bare hands and then with spoons, orange stringy slime clinging to hands and faces. An awkward face was then inexpertly carved into the pumpkin’s façade making our jack-o-lantern appear slightly constipated. With the pumpkin carved and orange goo scrubbed from our hands and faces, it was off to get into our costumes. We never wore the store-bought kind, no way. We used our imaginations and items we scrounged from the old cedar closet upstairs, tucked in the far corner of the playroom. The closet was a mystical place, full of oddities and odds-and-ends. There were long satin gloves, brightly colored polyester blouses, a smoking jacket, pillbox hats, and more. This magical closet was, in reality, the place where bygone fashions went to die, hoping for the possibility of being resurrected one last time on Halloween. Finally dressed, looking like a disco scarecrow or a hobo with exceptional taste, we grabbed our pillowcases and a flashlight and made a mad dash for the door. Older and braver, my brother would stop by the fridge to spirit a dozen eggs to throw at unsuspecting victims. Stepping out into the dark, I’d flip on the flashlight, that inevitably didn’t work, but give it a shake or two and bang it on the hand and the light would appear, becoming brighter still with a few more rattles. Then, working as fast as we could up one side of a street and down the other, we’d gather gifts of candy from every house with a porchlight on. When we could walk no more, we headed home to celebrate the final Halloween ritual. We each dumped our candy into a separate pile and began to sort our treasures according to our tastes. Trades were then negotiated with the expert skill of a trained diplomat. Then, completely exhausted, it was off to bed with bellies too full of candy to be comfortable. All of this reminiscing got me thinking. Where did these odd rituals and customs begin? Simple, I’ll Google it. Nope, not so simple, to get to the truth of the matter took a good deal of legitimate research. This is only a taste of the whole story. I’d have to write a book to do it the justice it deserves. Anyway, let’s start with the jack-o’-lantern. Interestingly, we can thank the Irish for this fun custom (among others). 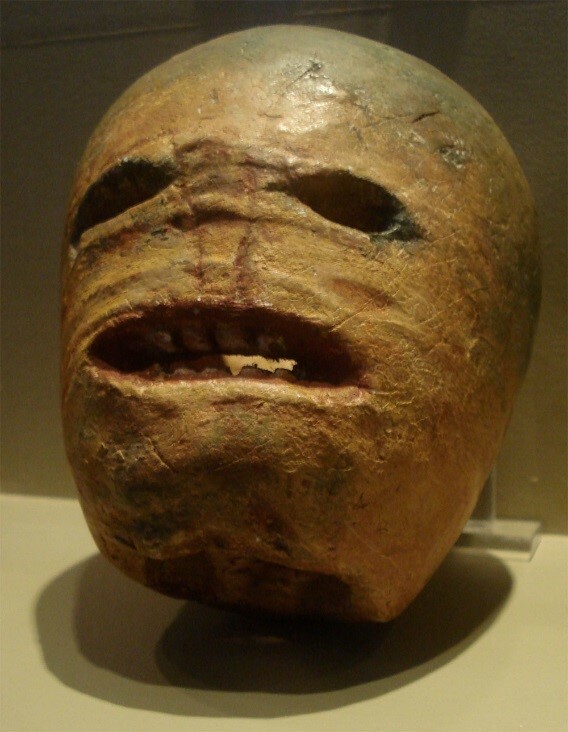 However, pumpkins were not available in Ireland, so they used turnips, beets, or potatoes instead. 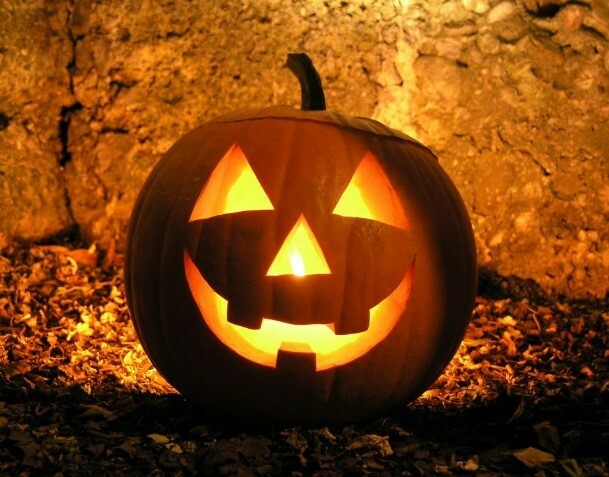 Stingy Jack is the evil character from which the term jack-o’-lantern comes, or so it is commonly claimed. You can read more about the legend of Stingy Jack here. The legend of Stingy Jack is several centuries old, but the custom of carving produce into creepy lanterns is likely much older. The ancient Celtic festival of Samhain (SOW-in – sow as in cow,) which marked the end of the harvest and the beginning of winter, was the possible spot of origin for this ritual. It was thought that the light from these lanterns helped to keep bad-intentioned spirits at bay. Whatever the case, we can thank the Irish for bringing this tradition across The Pond with them in the nineteenth century. Let’s keep the Samhain on the front burner, as it is the likely genesis for the custom of trick or treating as well. The festivities ran from October 31st until sunset on November 1st. The Celts believed that during this time the partition separating the corporeal from the otherworldly became exceedingly thin. This allowed supernatural beings and the spirits of the dead to transgress the border and move among the living. Now, anyone who’s seen Ghostbusters knows this is BAD news. We need those supernatural-types to stay on their side of the fence. I mean we all remember how the shenanigans of Zuul, the Gatekeeper, and Gozer ended, right? In case you don’t, there was a great deal of property damage and a portion of New York City was encased in marshmallow goo. So, the smart money is on appeasing these interlopers and then quickly getting them out of your space. So, how do you go about appeasing a ghost? It is simple really, you do it with food and drink. If you’d rather keep these visitors at arm’s length, why not leave a plate and a pint outside? Feeling braver? Have a feast and invite them to the party. I have it on the best authority that putting out an extra place-setting on the table was seen as open invitation to supper in ghostly circles. Some hypothesize the tradition of trick or treating evolved from the custom of the living donning costumes in order to look like the dead. These costumed people received the offerings of food and drink on the dead’s behalf. It was also believed that pretending to be one of the malicious spirits offered the person a measure of protection from the more malevolent entities. It’s fascinating how ideas and traditions can be passed down for thousands of years from one generation to the next. Sure, they lose portions of their original meanings and sometimes take on altogether new meanings, but isn’t that the beauty of the evolution of ideas? Well, I hope you enjoyed our short sojourn into the Halloweens of the past! This was sublime! I loved the way you interweaved history, humor, and flawless writing throughout this post! I hope to read more posts authored by you! Thank you, Christine! I really appreciate that.